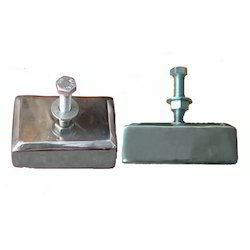 Our range of products include anti vibration pads. We are a unique name in the industry to provide our prestigious clients an exclusive range of Anti Vibration Pads. Our offered pads are used in refrigeration plants, compressors, conveyors, air conditioning plants, diesel generators. These pads are manufactured making use of premium grade material with the aid of latest methodology at our sound production unit. To ensure its quality, these pads pass through several checks in synchronization with set industry standards. Looking for Anti Vibration Pads ?